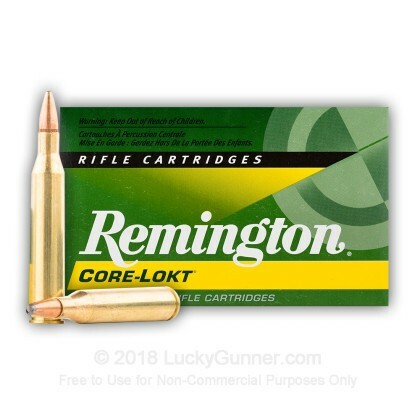 If you expect the most out of your hunting ammunition when it comes to power, accuracy, and lethality, then you need to pick up some of Remington's premier Core-Lokt hunting ammo. 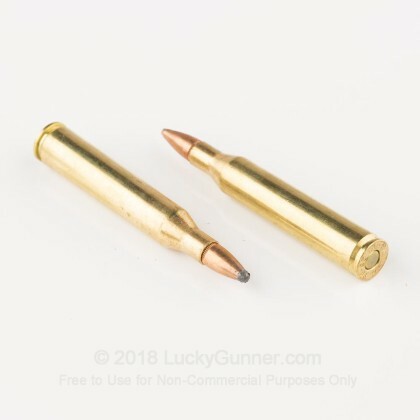 This 25-06 Rem ammo was designed to give you the high velocities and terminal performance seen in the 30-06 cartridge, but with less felt recoil. Each 100 grain projectile leaves the muzzle at 3230 fps, and the level trajectories and controlled expansion of the pointed soft-point ensure you will take down deer and other game with great efficiency. 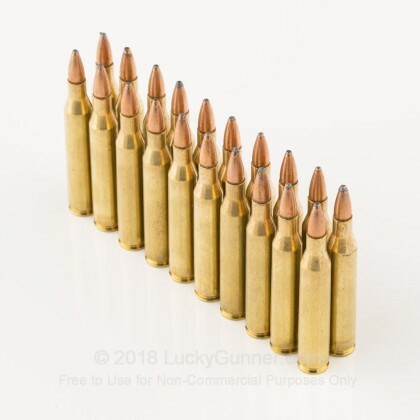 The 100 grain PSP bullets are packed into a new production, Boxer-primed brass casings that are reloadable. The copper jacket is bonded to the lead core, preserving most of the bullet's original weight upon entry into soft tissue. The tapering of the jacket ensures expansion that will create wide wound channels to ensure the most lethal shot possible and ensure a quick, clean kill on the animal. Remington ammo is backed by over 200 years of experience, and the Core-Lokt line of hunting ammo has been a mainstay in their product lineup for over 75 years. 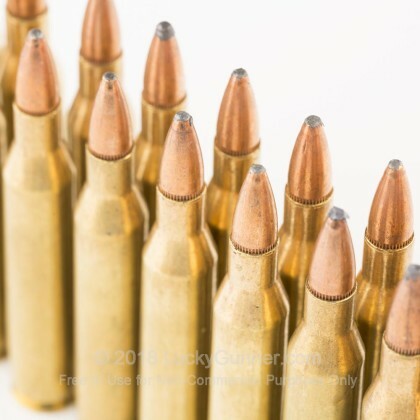 Do not mess around with the quality of your hunting ammunition--pick up 20 rounds of this 25-06 Rem ammo today! 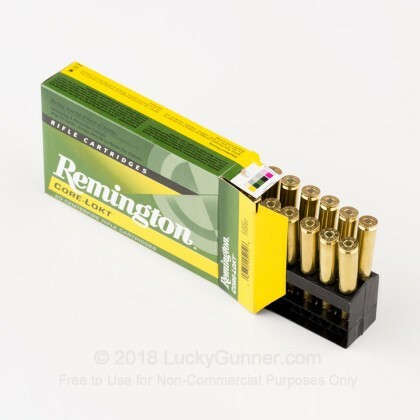 We don't have any reviews yet for this particular .25-06 ammo from Remington. 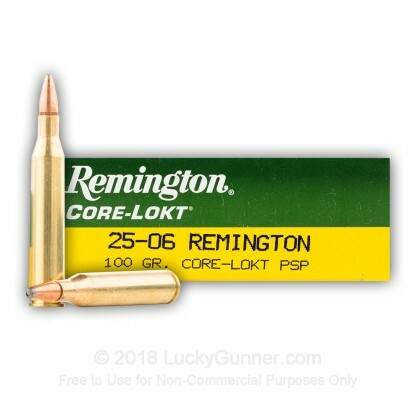 If you'd like to be the first to review this particular .25-06 ammo from Remington, fill out the form below.